Process: Use local zip code business patterns and NAICS codes to generate marine job estimates, supplement with local knowledge to identify industries that are specifically marine related in Waukegan (gypsum manufacturing, real estate property management). Waukegan, IL is located on the shore of Lake Michigan about 35 miles north of Chicago. The city boasts a waterfront that includes both industrial and recreational uses, including a large city-owned marina. Many of the industrial uses are no longer in business, and the city is working to incorporate those parcels to enhance the tourism and recreational opportunities. To help manage the waterfront uses, Waukegan has a multi-agency waterfront planning group to prioritize short term and long term goals, as well as identify cost-sharing opportunities. To help with planning, the city wanted to identify the jobs supported by their waterfronts. To accomplish this task, the city and the NOAA Office for Coastal Management collaborated to generate employment estimates following the methods to estimate the marine economy created by NOAA. This analysis used Census Zip Code Business Patterns data, which provides employment ranges for business establishments organized into 6-digit NAICS codes (detailed industrial classifications). 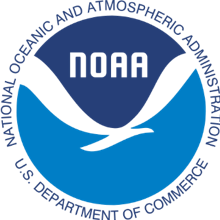 The data were organized using the marine economy classifications provided by NOAA. Two additional industries were added after input from the city of Waukegan. National Gypsum, a gypsum manufacturing plant, has a private marine terminal used to ship items. In addition, the city marine is managed by F3 Marina, which is classified as a Real Estate Property Management company. Finally, the General Warehousing and Storage industry was removed, as all activity was used by the trucking industry rather than marine shipping. The final analysis showed that there were over 2,000 jobs that depended on marine resources in Waukegan, which accounts for over 7% of the total employment. The majority of the marine economy jobs were in the tourism and recreation sector. Due to the proximity to Chicago, including direct access via rail, many people come to Waukegan for recreational opportunities on Lake Michigan.